Thank you for choosing our products. If you have any problem during shopping, please do not hesitate to contact us. We are striving to be a trusted partner and seek to achieve 100% customer satisfaction. 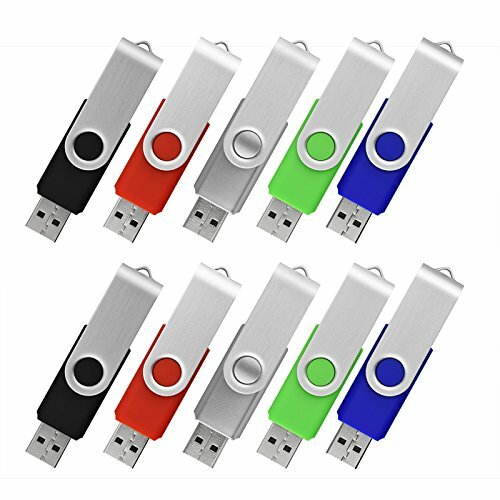 10 pack of 4GB USB Flash Drive with great cost performance and high quality, multiple color choices. The metal side has a 360° rotation, covering and protecting the usb end while carrying it around and turn back in any position, for the most comfortable use. Capless design with integrated loop makes it easy to attach to key chains, backpacks and etc. Mini design so that you can put it in pocket or any small space.